Pricing policy for WhizBase is based on calculation of benefits, free resources and extra profit that our clients get by using our software, and we have no questions about ROI (or to make it simple - we know our product is worth every penny). However we’re aware that even then the price of WhizBase license can be unjustified in some cases and for some users/projects. 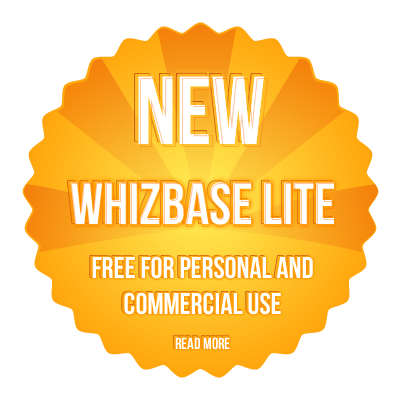 Therefore we’re offering new model of licensing – WhizBase as a service, that includes workspace on our cloud server where you can enjoy using WhizBase without paying anything extra for the license. Service packages are based on monthly bandwidth and start with 1000 MB for $15/month.